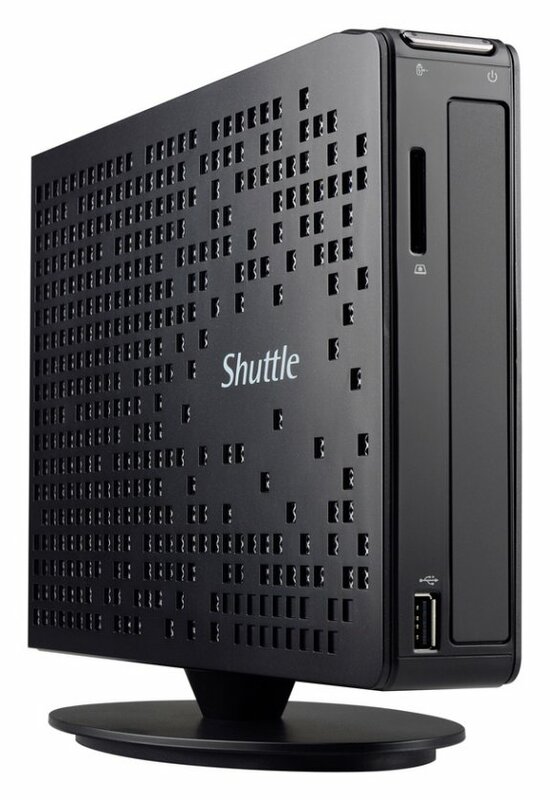 Shuttle presents two new XS35 Mini PCs with Intel's Atom D2700; the XS35V3 with Intel GMA 3650 graphics and the XS35GTA V3 with AMD Radeon HD 7410M graphics. Shuttle Computer Handels GmbH, the European subsidiary of Shuttle Inc., one of the leading developers and manufacturers of compact PC solutions such as the world-renowned XPC Mini-PC Barebones, today announces the launch of the third generation of its award-winning and completely fanless XS35 model from their slim PC series. "Even our dealers keep telling us how impressed they are with the quietness of this model," says Tom Seiffert, Head of Marketing & PR at Shuttle Computer Handels GmbH. "It's very rare that the elimination of a particular component has been greeted with such positive comments. However, we've certainly achieved this by doing away with the use of fans." An Intel Atom D2700 processor with 2x 2.13 GHz is installed in both machines. Two SO-DIMM ports are therefore able to accommodate a total of 4 GB DDR3 RAM. The case offers space for one 2.5" SSD/HDD drive and one slimline drive (a second 2.5" drive can be fitted instead of the slimline drive with the optional PHD2 accessory).